It should be interesting to see how the creative team adapts this one into a full-length feature film. For one thing, Schwartz’s three novels were a collection of short stories that were accompanied by truly horrifying illustrations of hooks, corpses, and severed body parts. So it looks like shorts like the Big Toe story will be woven into the film. Although, I am hoping to see The Bride be in it; Of all the stories in Scary Stories, that is the one I remember the most. Not because of that one story, but the imagery of a rotting corpse bride with a frozen look of terror has stuck with me to this day. And I read these in the 1990s. Let’s just hope that this adaptation lives up to fan expectation. But with Guillermo del Toro as one of the credited screenwriters, I think the film might be worth a watch. The filmmaker took to Twitter to release all of the terrifying mini-trailers, which aired during Sunday night’s Super Bowl game. 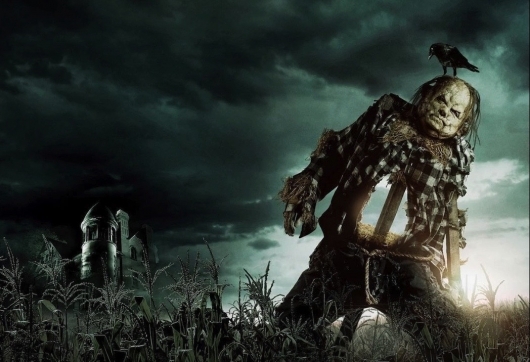 Directed by André Øvredal, who uses a script written by Daniel Hageman & Kevin Hageman, and Guillermo del Toro, Scary Stories To Tell In The Dark opens in theaters on August 9, 2019.